Africa is a continent that conjures up images of war, famine, poverty and violence. Indeed, it is probably the most violent, untamed continent of our modern world, yet it is showing slow signs of change. At the southern tip of Africa, a small, dedicated group of horseman still practice the old Moorish, Iberian, South African and so-called Western traditions of horsemanship. 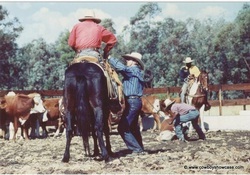 South Africa once had a great culture and tradition of horsemanship. This was practised mainly by the “Boers” (predominately Dutch settlers) and used to great effect in battle against the British in the mid- to late 1800’s and early 1900’s. As mechanisation came with progress, so too did the old culture and tradition of horsemanship slowly start dying out. Horses started to become the symbols of wealth and with it came the disciplines of Dressage, Show Jumping, Eventing and Endurance, but sadly the ability to truly work off horseback was becoming lost. Cattle ranches became “farms” and ranchers became “farmers”. The horse was replaced by the quad bike and the LDV or “Bakkie” as it is commonly called in South Africa. The horse was no longer considered to be a working partner and was relegated to be a mere grazing ornament in the pasture. Costs to run and maintain the cattle farms soared as quad bikes and LDV’s cost more than horses and saddles and required fuel and maintenance. 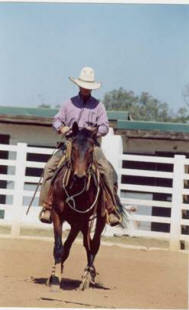 In 1999, a unique “Cowboy School” opened its doors and the first of a “new” South African breed of horseman started to ride the range and work cattle off horseback. To date, more than 600 riders from all disciplines have passed through The Cowboy School. American Quarter Horses and American Paint Horses were imported into South Africa and these bloodlines were infused into the indigenous horse, the “Boerperd”. (This tough and hardy horse was initially brought to South Africa in the late 1600’s from the island of Java by the Dutch East India Company and was initially known as the Java Horse. Over centuries, the Java horse was crossed with English Thoroughbreds, Barbs, Arabs, Andalusians, etc. and today it is a well-known, gentle temperamented, highly intelligent, very tough and willing horse). As the training of horsemen and horsewomen progressed, so too did their skills at riding, roping, cutting, working wild horses and problem horses – and soon these horsemen were able to do virtually anything off the back of their horses. Slowly but surely, cattle farms started becoming cattle “ranches”: cattle farmers started calling themselves “ranchers” and with it a unique style of working equitation started taking hold. 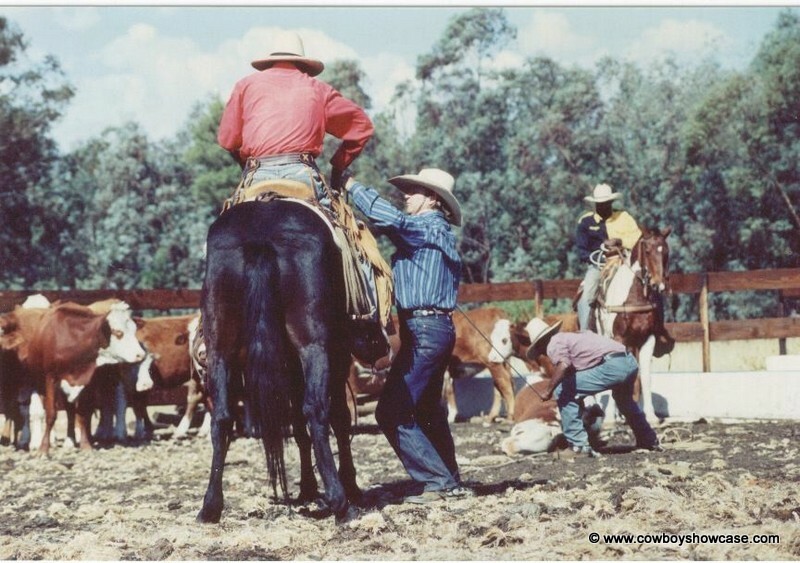 By 2000, the first thoughts of establishing a Working Cowboy Association (WCA) for the South African cowboys were generated. By late 2003, this association had grown in membership to more than 70 members…a small start but a steady growth in horsemen and horsewomen who all share a common love of working horses and cattle. 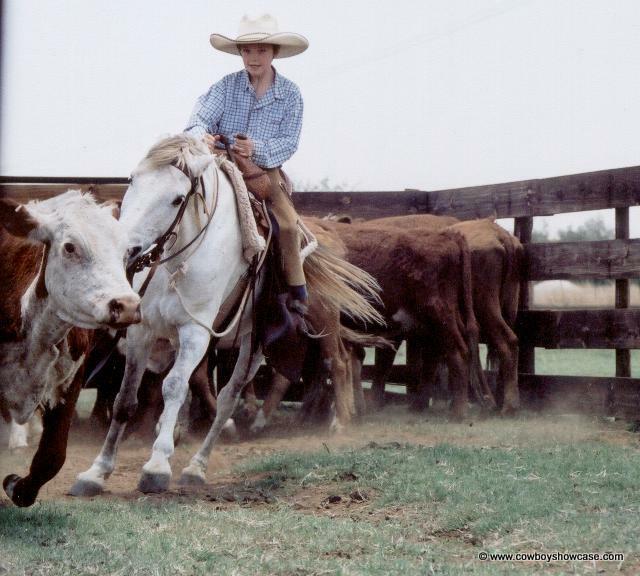 The WCA holds four annual competitions known as “Roundups” where members compete in ranch-related tasks such as cutting, roping, alley-cutting and sorting, team penning, etc. The Roundups also afford members the opportunity to get together and discuss horses, cattle, the world and more. Today, the South African cowboy practises a distinct style of equitation that incorporates elements of horsemanship cultures and traditions from across the world. 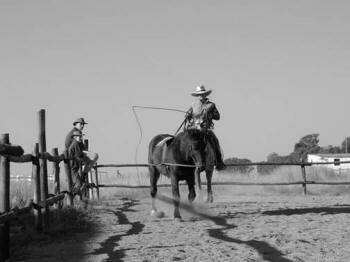 With a philosophy of “if it works, use it”, the South African cowboys use methods that date back to the Moors, the Portuguese- and Spanish vaquera, the Mexican vaquero, the American cowboy, and the “Boers”. The dress and tack of the South African cowboy is adapted to the harsh climate of South Africa. Broad-brimmed hats, boots, spurs, jeans and chinks are common-place. Saddles are specially designed and locally-made to withstand the rigours of ranching in South Africa. The starting and working of young horses lays great emphasis on groundwork and when still young under saddle, the horse is exposed to his working environment where he is shown what is expected of him. Horses are lunged and long-reined off horseback to ensure that they are brought to the required level of fitness and suppleness. Belief in the saying “It takes as long as it takes” has allowed the South African cowboys to develop a patience that is at times frowned upon. This however ensures that a horse is never called upon to do something he has not been prepared for. This approach also ensures that the rider is never “over-horsed” and can thus focus on the task at hand. 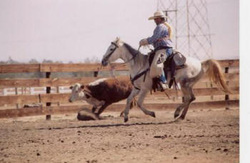 The working cow horse of the South African cowboy is a small, (usually between 14, 3and 15, 3 h), tough, athletic, highly-agile, very aggressive around cattle (yet able to carry a small child with care) and a true all-round horse. Able to work long hours under saddle in the scorching heat, bitter cold and torrential rain, these horses will ride fence, herd, cut and work cattle, rope, pull-tight sagging fences and still ask for more. The impact of the horsemanship practised by these cowboys is admired by many and more and more problem -dressage, -show jumping, - eventing and -endurance horses – along with their riders, both local and foreign, are finding their way to these horsemen and horsewomen to help them. Enduring the harshness of the African climate along with the constant threat of violence, these cowboys of the lost continent are driven by a love for their horses and a belief in their beloved Africa.